Nintendo is finally taking steps towards bringing their platforms together. Next month's system update for the Nintendo 3DS is going to be a doozy, folks. Nintendo is taking a big step, allowing players to (finally) combine their user account on Wii U and 3DS into a single Nintendo ID. Announced during this morning's Nintendo Direct livestream, having a single account for both platforms will allow users to use a single wallet to purchase games from both consoles. To fuse the accounts, Wii U/3DS owners just need to sign in on both platforms with the same Nintendo ID. 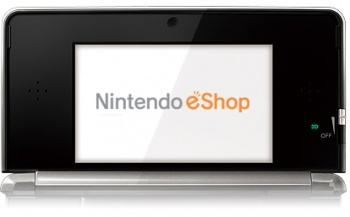 Nintendo IDs will be required to download free contents like apps and demos from the 3DS E-Shop. Nintendo says players can still purchase games without an ID, though. In addition to the updated Nintendo ID, the update will bring YouTube and a portable version of Wii U's Miiverse to the 3DS.